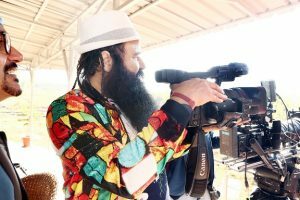 Saint Dr. Gurmeet Ram Rahim Singh Ji Insan of Sirsa, Haryana, India, performed most roles(43) and responsibilities in his upcoming film ‘Hind Ka Napak Ko Jawab’. Trailer of movie was launched at Sirsa on January 25, 2017. Comments for MOST ROLES AND RESPONSIBILITIES A FILM are now closed.